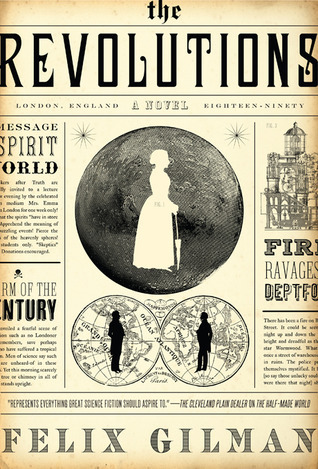 Arthur Shaw is not the most interesting man in the not-quite-historical Victorian London of Felix Gilman’s The Revolutions. That’s a problem, since he’s one of the main characters in the book. Thankfully, Shaw’s very mundanity – he needs a job and is willing to do just about anything for money – leads him into something very interesting indeed. Oh, and there’s his fiancé, Josephine, who makes for a considerably more interesting companion. This London is one where the kind of quasi-scientific spiritualism that was popular in our reality was not just popular, it was actually true. In particular, Arthur and Josephine find themselves bound up in a group trying to astral project to other planets, particularly Mars. Doing this requires not only the right people (sort of – the group gets less selective as things progress), but massive calculations produced by a massive machine with countless human parts. Babbage’s engine writ large. The book takes a while to set all this up, which is either fascinating world building (for me) or dull sluggishness (for others). Things really kick into high gear when one of the astral flights is interrupted by Arthur, leaving Josephine trapped – in spiritual, if not physical form – on one of the moons of Mars. What Gilman does next is a clever sleight of hand. The book focuses on Arthur for a bit and how he and the rest of the society plan to get Josephine back. Just when you think she might be nothing more than a damsel in need of rescue, the POV shifts and we’re treated to Josephine’s lengthy observation of (and, eventually, interactions with) the Martians and their society. This is the best part of the book, harkening back to the days of science fiction before science itself killed off the chance of finding life on Mars. Reminds me of some of the more esoteric parts of The Martian Chronicles. Naturally, a rescue mission is mounted and while it has its own charms as an adventure story, it can’t match the peak that is Josephine’s experience with the truly alien. But all stories must end and I’d be lying if I said that the ending ruined all that came before. So Arthur might be kind of dull. Don’t let that put you off. He’ll lead you into some very neat places. 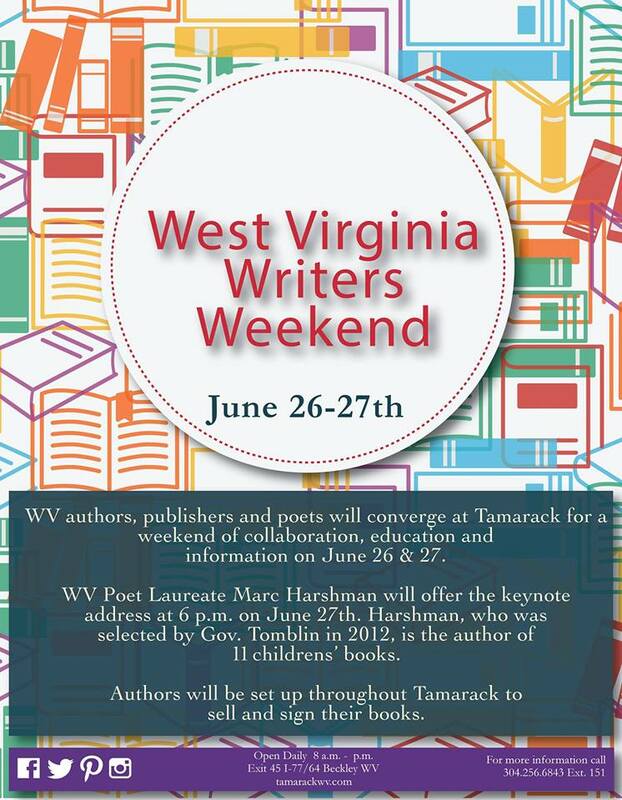 This weekend, Tamarack – the showplace for West Virginia arts and crafts located outside Beckley – is hosting a West Virginia Writers Weekend. It runs both Friday and Saturday. I’ll be there on Saturday (June 27), from six in the morning until about six in the evening. I’ll be selling books, signing books, talking with readers about writing, and probably doing some actual writing (still working hard on the second draft of The Endless Hills). In addition, at 11:45 – just before lunch! – I’ll be doing a reading of one of the stories from The Last Ereph and Other Stories. It’s free to the public and should be a lot of fun. See you there! A little while back I confessed that, although I had enjoyed the first season of Better Call Saul I had not seen a minute of that show’s mothership, Breaking Bad. It wasn’t that I was unaware of it or avoiding it out of some hipsterish notion of cool. It just got past me (why must there be so much good TV on at the same time on the same night of the week?). But I read the hype and knew the show’s reputation. Now I’ve gone back and done my due diligence. Did it live up to the hype? I usually try to push back against the hype on things like this, at least a little bit, but, damn, I can’t really do it here. Breaking Bad is everything great storytelling should be, tightly plotted and filled with well drawn, memorable characters. Moreover, it uses the visual and audible aspects of television in ways that most shows never dream of. If you’ve been under a rock for the past few years, Breaking Bad is the story of Walter White, a high school chemistry teacher who turns to cooking methamphetamine (with the help of a former student turned junkie and small-time dealer, Jesse Pinkman) for money after being diagnosed with cancer. What plays out is Walt’s fall into ego-driven evil, as he finally finds personal satisfaction in his nearly pristine blue meth. It’s a reverse of the typical redemption arc where the bad guy comes good. Walt begins good (sort of) and goes very very wrong. It’s not uplifting stuff, but it’s riveting. It’s not perfect, of course. It drags at times (particularly when it involves the long but inevitable rehab of Walt’s DEA Agent brother-in-law). Walt is occasionally too much James Bond or McGyver. And the entire premise – that ultra-pure meth would be that much more valuable – is dubious. But those are minor quibbles and, in the case of the last one, a great dramatic device for springing Walt’s ego upon us. I suspect Walt might agree with that other great thinker, Zaphod Beeblebrox, that if “there’s anything more important than my ego . . .I want it caught and shot right now.” Starved for personal reward and nagged by the staggering success of former business partners, Walt repeatedly passes up moderately safe ways out of his life to as to continue his ego stroking meth cooks. Equally important as a character, although it’s not played by any particular actor, is the War on (Some People’s) Drugs. Not only do we see both sides at play, but we see how inevitable it is that the drug trade continues on all the time. One of Walt’s ego problems is that when he tries to get out he finds out that others are selling blue meth that’s not as pure as his. It’s a personal insult. But dealers are going to sell whatever they can to those that want to buy, of which there will always be a supply. A war on what is essentially the human desire to soothe their lives will always be bound to fail. 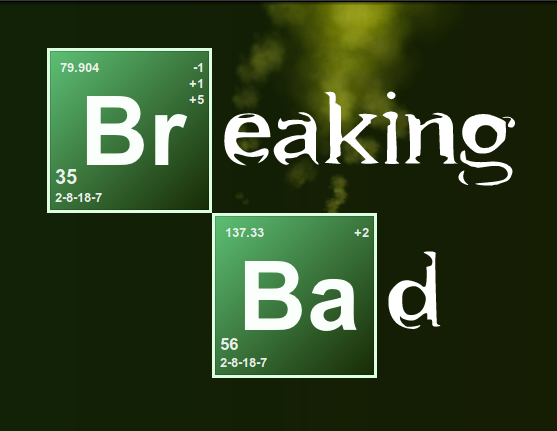 While I came late to Breaking Bad proper, I read a lot about it while it was on the air, or shortly after it wrapped up. I noticed how images, phrases, and other parts of the series were seaping in the culture. It’s a TV show, right? So, of course they did. When a parent freaked out at finding Breaking Bad action figures on a store shelf somewhere, I chuckled and rolled my eyes. But now, having watched the whole thing, the impact of the show on the culture kind of disturbs me. People know that, whatever its dramatic qualities (which are substantial), the show is basically about horrible people doing progressively more horrible things. Given that, things like producing a Breaking Bad vodka or Aaron Paul’s repeated attempts to capitalize on being Jesse Pinkman or the plans to open up a real Los Pollos Hermanos really rubs me the wrong way. It says something about our popular culture and the nature of celebrity and I’m not sure it’s good. None of which takes away from the achievement of Breaking Bad (including Paul – Pinkman is, perhaps, the most sympathetic character, who consistently struggles with what he’s done and has so little idea of a better life that he can’t take any chance to find one). It is one of the gems of the current Golden Age of TV. What Does “Being a Democracy” Mean, Anyway? We tend to think of types of governments in stark terms. A democracy means a nation run by the consent of the governed, right? But how does that work in the real world? Not ‘democratic’ – ‘safe for democracy.’ Wilson wasn’t promising to impose democracy on Imperial Germany. He was promising to defend democracy from Imperial Germany. The First World War had not begun as a conflict between democracy and authoritarianism. Great Britain was not a democracy in August 1914. Tsarist Russia certainly was not. Ditto Japan, Italy, and Romania—all fought for the Entente, none had governments elected by more than a small fraction of the population. Even in France, the most democratic of the original Allies, elected leaders did not fully control the government (never mind that the Third Republic ruled over a vast colonial empire and denied the vote to women). Of course, that description is equally true of the United States at the time, which disenfranchised most folks that were adult white men. Nonetheless, if someone’s voting on who runs the place, isn’t that democracy? It’s a far sight more democratic than a monarch who rules because God says so (or “some watery tart lobbed a sword at you”) or a dictator who holds power by sheer force. What’s the tipping point? And if there is a tipping point, do any modern societies actually meet it? After all, “universal” suffrage isn’t truly universal. Most countries, at least, restrict the franchise to citizens and to those of a certain age. But the young and the alien (assume, for purposes of this argument, legal and fully documented) are subject to the authority of the government just as much as anybody else – does cutting them out of things make the system less “democratic?” What then of places where felons or the mentally infirm are banned from voting, sometimes for life? Beyond those restrictions there’s the very real question of apathy. If, as Frum posits, most of our allies in World War I weren’t democracies because only a “small fraction” of the population could vote, what of when only a small fraction of eligible voters actually bother to participate? Only 58.2% of eligible voters cast ballots in the last US presidential election. Put another way, just over 129 million people cast votes – in a country with a population north of 320 million. When only 40% of the governed people vote, is that really a “democracy” under Frum’s test? And that’s just the presidential election, which tends to attract higher turnouts. What percentage of the governed populace is actually voting in races further down the ballot? As a for instance, 453,659 West Virginians voted in the 2014 election that sent Shelly Moore Capito to the US Senate, out of a population of over 1.8 million. In other words, about a quarter of the state’s population voted in that election. Is that truly “democratic”? Obviously, a lot of this is pure semantics and the political science equivalent of figuring out the right dance steps for angels on pin heads, but there’s more to it than that. We often do our worst when we’re motivated by the mythology we’ve built around ourselves. Confronting reality might make us think twice about going off half-cocked on various crusades. In other words, if we’re going to lecture the rest of the world about the values of democracy, we better damned well make sure we’re practicing them ourselves. 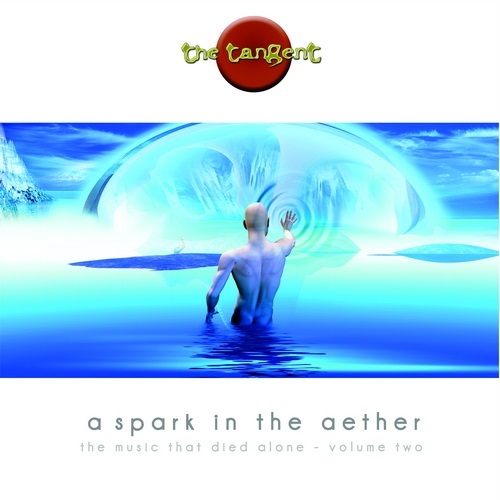 The subtitle for The Tangent’s latest album – it’s eighth – is “The Music That Died Alone Volume 2,” referencing the title of the band’s debut. Of course, the music it’s talking about – progressive rock – has never died, even if it did (to paraphrase Frank Zappa) “smell funny” for a while. But it’s thriving today, if not commercially than artistically. That’s due, in no small part, to The Tangent. As the name suggests, The Tangent grew out of what was supposed to be solo project by keyboardist Andy Tillison. It grew into a real band for a few albums and has since morphed into a kind of revolving cast of players carrying on the band’s proggy project. Tillison is the central character (duties having expanded at times to include lead vocals and guitar), driving The Tangent on with his desire to bring fresh slabs of classic prog to the 21st Century. Tillison’s never been coy about this. The first album uses a Hatfield and the North song (incorrectly titled, but whatever) in the middle of an epic. A Place in the Queue has a liner notes directing unsuspecting young readers toward Tales from Topographic Oceans (the prog equivalent to luring children into your van with candy). Hell, he even wrote a novella to go along with Not As Good As the Book which involves a far flung future and, naturally, Yes. Tillison is prog down to his bones. On A Spark In the Aether, he lets it all out. Not only musically, but lyrically as well. Witness the epic “Codpieces and Capes,” which takes on the general slagging that prog has taken from the music press, concluding that those who fobbed it off as pretension were “so wrong” (but, in a bit of humor, “they were probably right about the rug.”). That being said, the album covers lots of ground, from the rocking title track, to jazzy ambience, and even some funky bits here and there. The centerpiece of this album, however, is “The Celluloid Road,” which is a view of modern American through the lens of someone who’s never actually set foot here (although that doesn’t accurately describe Tillison). In other words, it’s less about how we actually are than how we project ourselves to be to the rest of the world via film and TV. It’s always interesting to hear how the rest of the world views us. In this case, it’s how the rest of the world views the way we view ourselves. It’s both amusing and a little disheartening. Said funky bits show up here in the “San Francisco” section (which mostly deals with it being destroyed in various movies – and this was written before San Andreas!). This isn’t a Tangent masterpiece, but I’m enjoying it a lot more than Le Sacre du Trevail, which I found to be really dire and depressing. There’s nothing wrong with a bit of fun. So come on in and prog your brains out. Don’t forget to bring your cape!